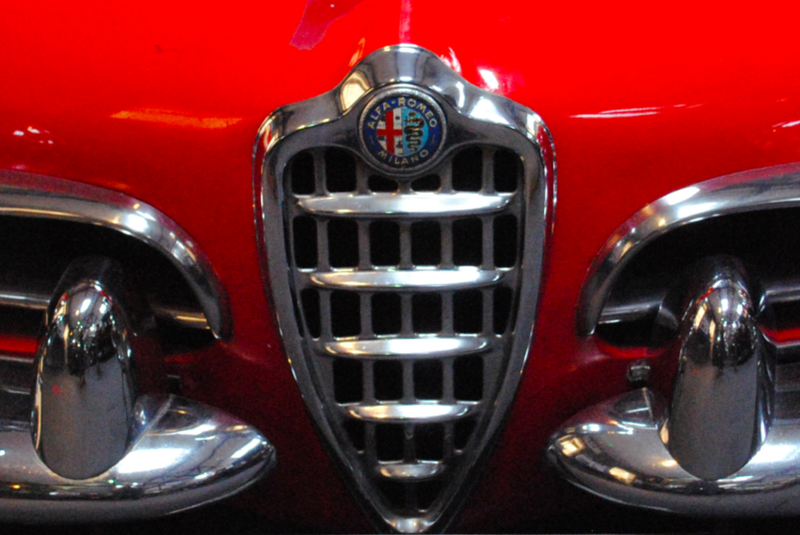 Italian car manufacturer Alfa Romeo began in 1910 as A.L.F.A – Anonima Lombarda Fabbrica Automobili. During the First World War, entrepreneur Nicola Romeo took over the firm and in 1920 they returned to car production with the new company name. 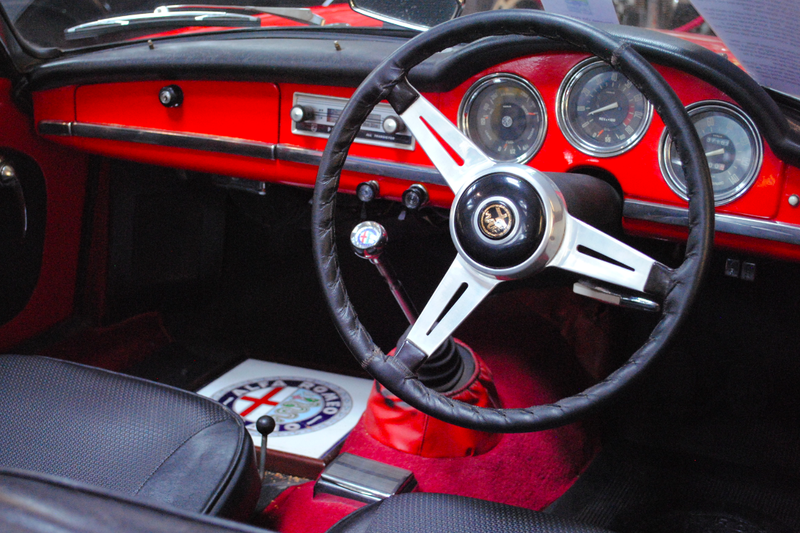 The Milan based factory only made vehicles in left hand drive except for a small batch of 404 Giulia Spiders, all produced in 1963 and sold to right hand drive markets, including Britain, Australasia and South Africa. The above example was one of the last produced, only selling in September 1964. 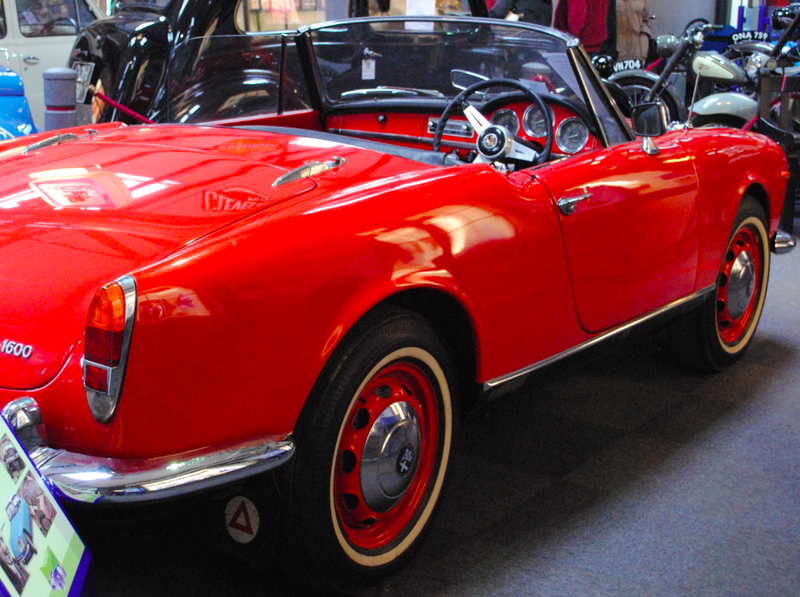 Spider is the name Alfa Romeo and Ferrari used to describe its cabriolet/roadster models. Many vehicle body styles come from horse drawn vehicle descriptions, both Cabriolet and Roadster are used to describe a vehicle with only one row of seats, a folding hood and no window frames – a convertible differs in that it can have two rows of seats and possibly fixed side window frames. 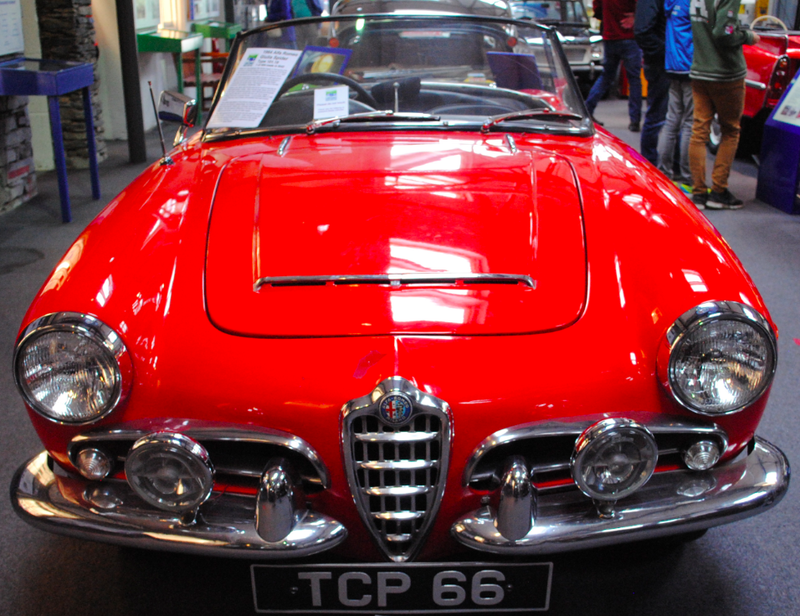 This model was based on the previous Giuletta Spider – rather than the new Giulia’s underpinnings, but using the Giulia’s larger and more powerful 1600cc twin overhead camshaft 4 cylinder engine – the only external difference in the two models is the raised bonnet centre which is to clear the taller engine. This fabulous vehicle is on display in the Lakeland Motor Museum and is 1 of 404 made in right hand drive. What a beautiful vehicle! I’ve wanted one of these for many years, but alas, I’m sure it’s just a dream. Thanks for the post.